I received a few items from TesterKorea within the frame of their Beauty Tester Event. 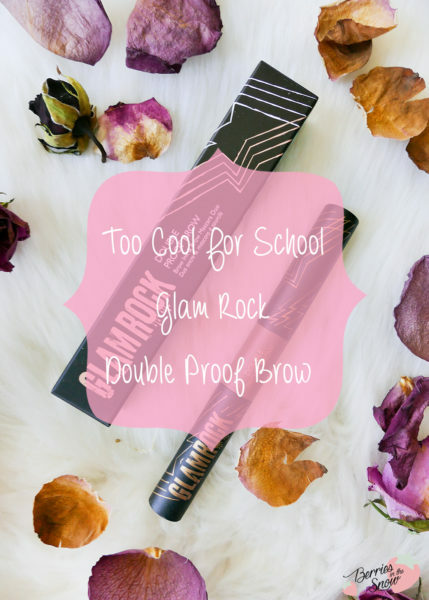 Today, I want to talk about the Too Cool For School Glam Rock Double Proof Brow. When it comes to brow products I prefer pencils to be honest because they are precise and quick to use. Nevertheless, I give over brow products a try from time to time. 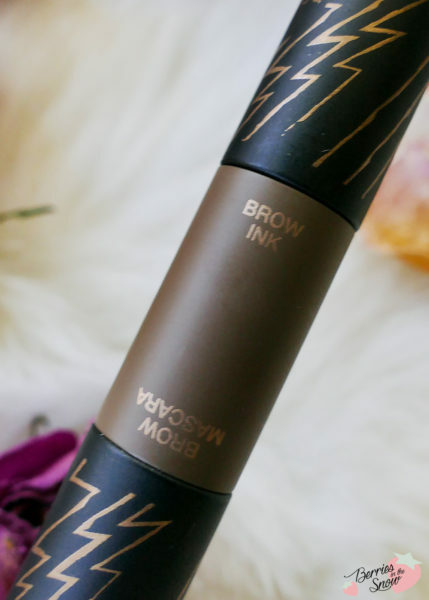 This Double Proof Brow is a 2in1 product with brow ink and brow mascara combined. Too Cool For School is a Korean brand, known for a unique packaging design. Their products are in the mid-pricey region and slightly more expansive than Etude House, for example. 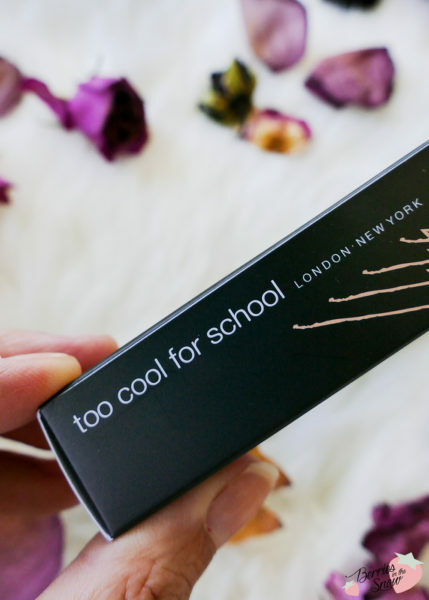 I have reviewed a bunch of their products in the past and the Too Cool For School Artclass By Rodin Contour is my favorite compact pact when it comes to contouring. You can also find other reviews of the brand >>here<<. 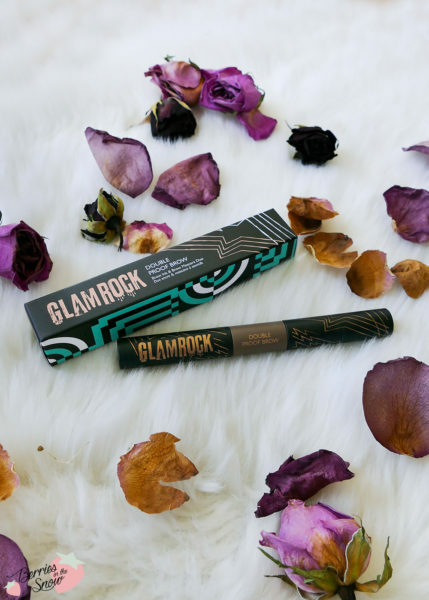 The Too Cool For School Glam Rock Double Proof Brow is a double-lasting brow mascara and ink to create cleaner and more refined brows that last double-time according to the description. There are three different shades available called Natural Brown, Ash Brown, and Light Brown. 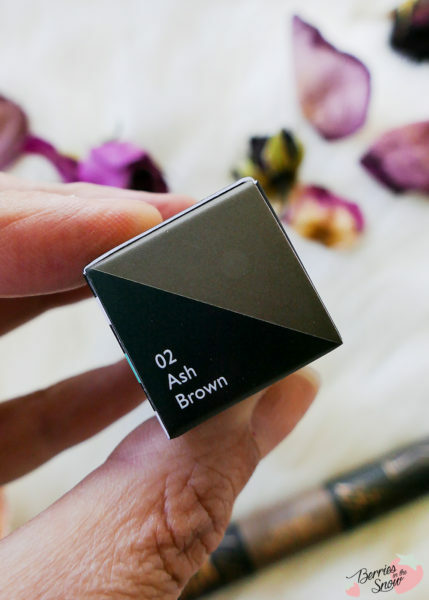 I selected Ash Brown (02) because it seems to fit most with my black eyebrows according to the promotional pictures. 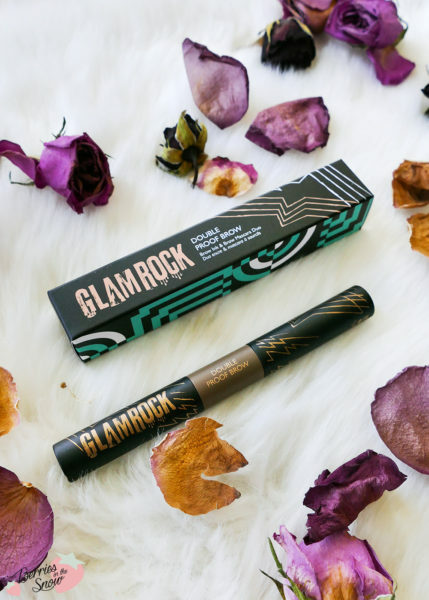 The Too Cool For School Glam Rock Double Proof Brow is designed with two caps, one for the brow ink, and one for the brow mascara. In a first step, the brow ink is used to define the shape of the brows and fill in the gaps. The applicator is a sponge-like applicator that reminds me of lip tint applicators. 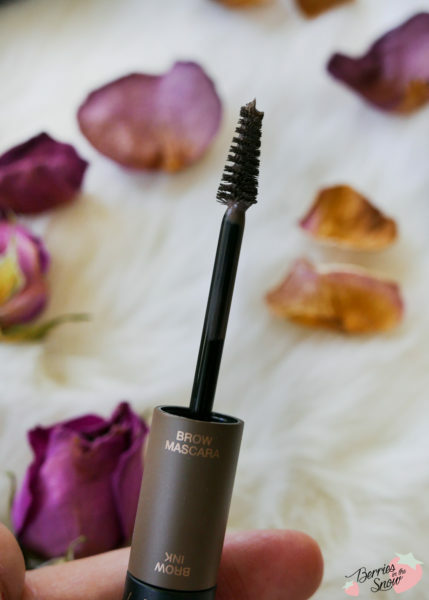 The brow mascara comes with a classic brush and is step 2 for adjusting the color of your own brow hair to the color of the brow ink. The color is a nice ash brown, very light and natural. Its color is water- and smudge-proof once tried, too! Unfortunately, the brush applicator for the ink is not very precise and convenient to use for me, since I’m used to pencils. I couldn’t manage to create a decent brow look with it. Also, the ash brown shade of the mascara is too light to show off on my black brows. 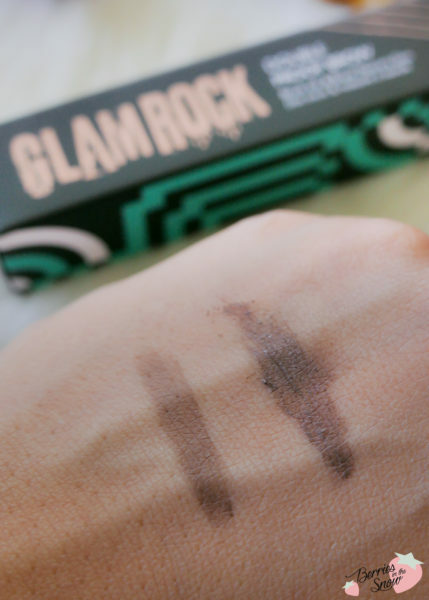 Unfortunately, the color I picked for the Too Cool For School Glam Rock Double Proof Brow doesn’t show up on my brows visibly, so this one was a miss for me. I will try to apply the ink with another brush in future and see whether the result is more promising. 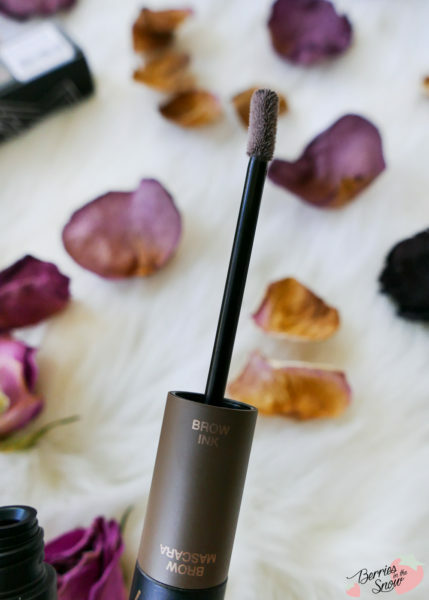 Regarding the staying power this brow product is great and will last you all day! 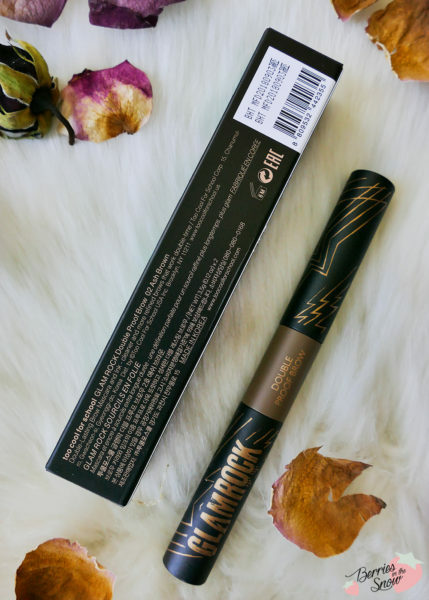 If you have lighter or less dense brows than I have you might want to check these out! 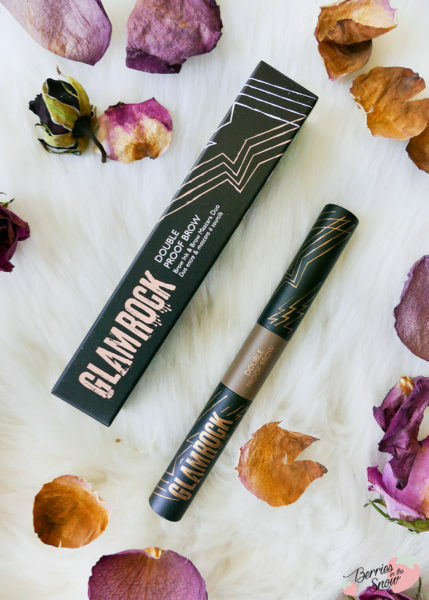 The Too Cool For School Glam Rock Double Proof Brow retails for 13600Won at TesterKorea, which makes around 14 US$. What is your favorite eyebrow product?